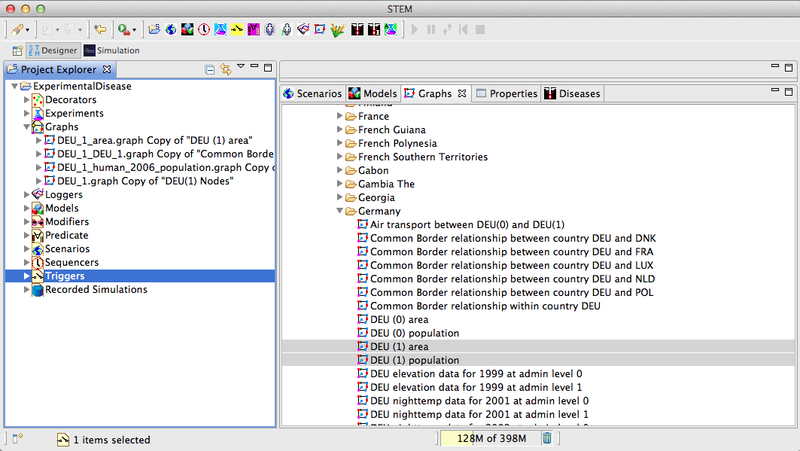 STEM now supports user creation of custom lattices via the New Graph wizard, shown in the Figure below. 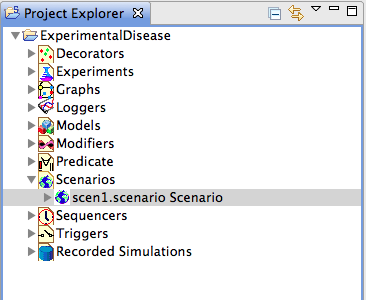 The wizard makes use of "Graph Generators," a new concept. 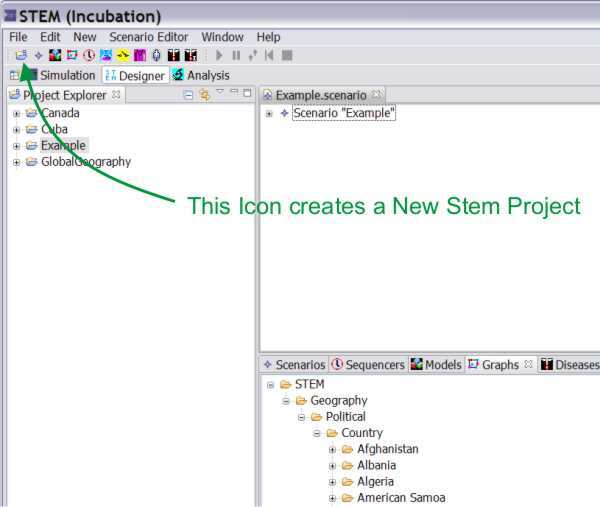 A graph generator is a pluggable component that is able to generate a graph (a collection of nodes and edges) either algorithmically or from an external file. 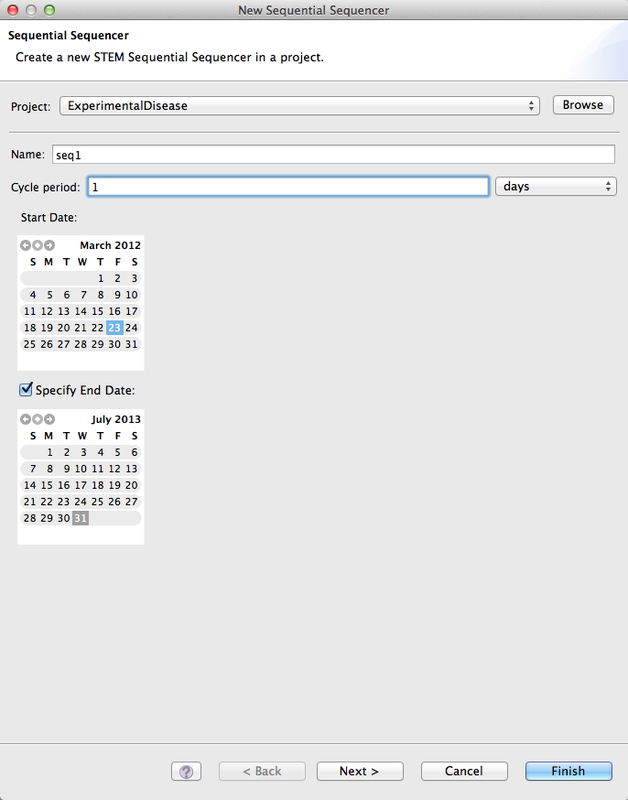 Currently, we have implemented an abstract Lattice Graph Generator with a Square Lattice Implementation. 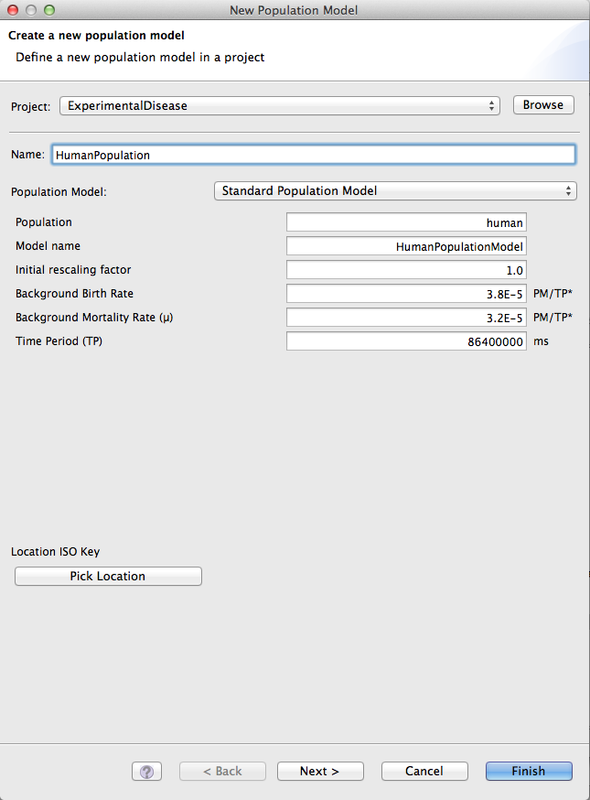 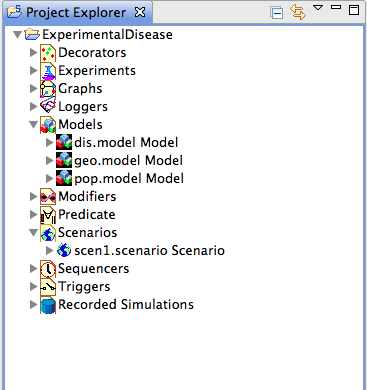 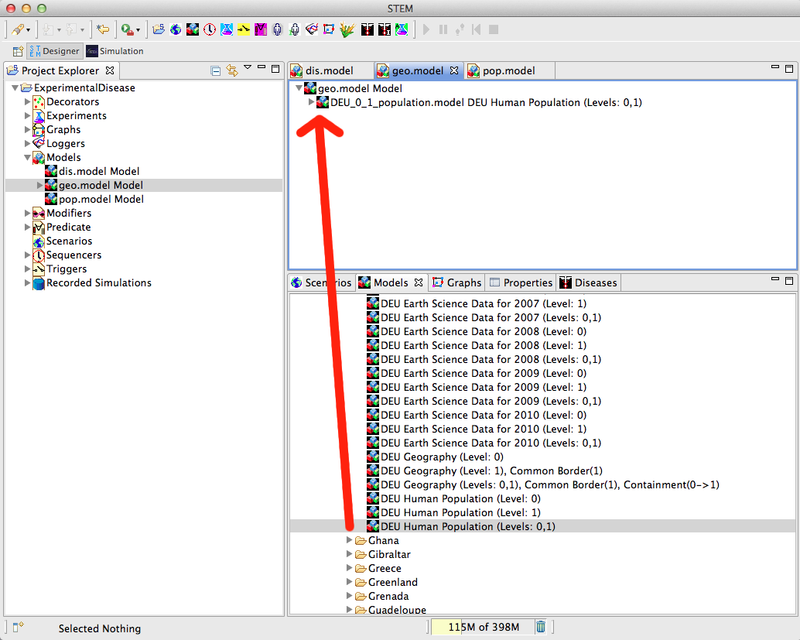 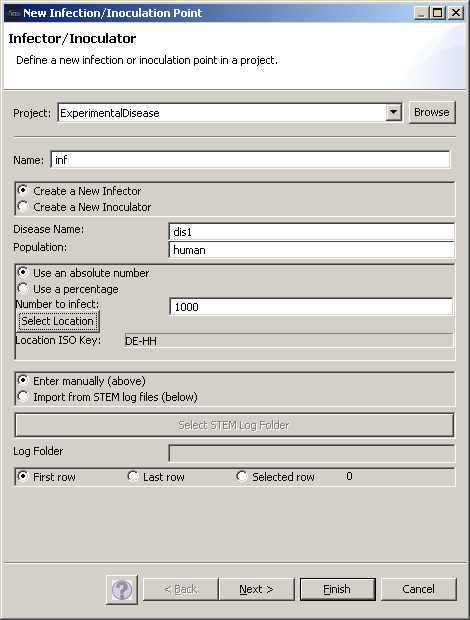 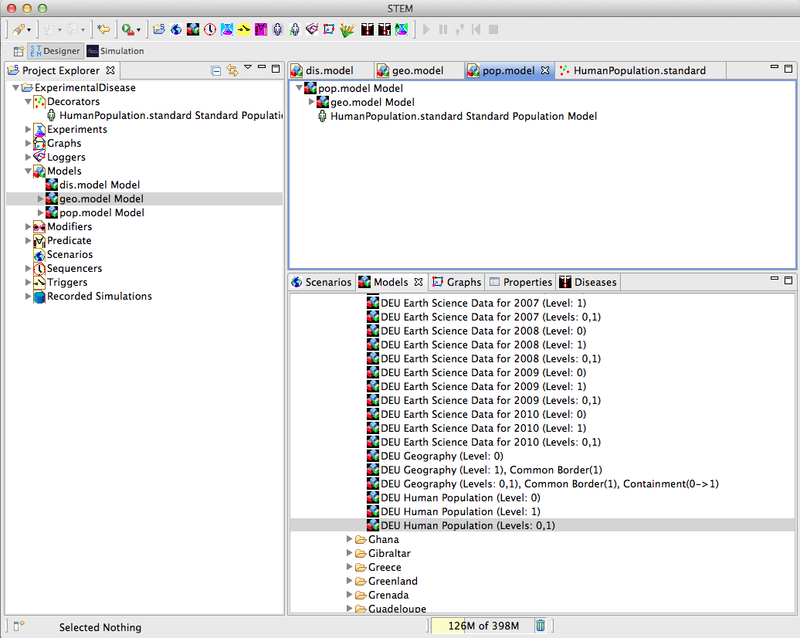 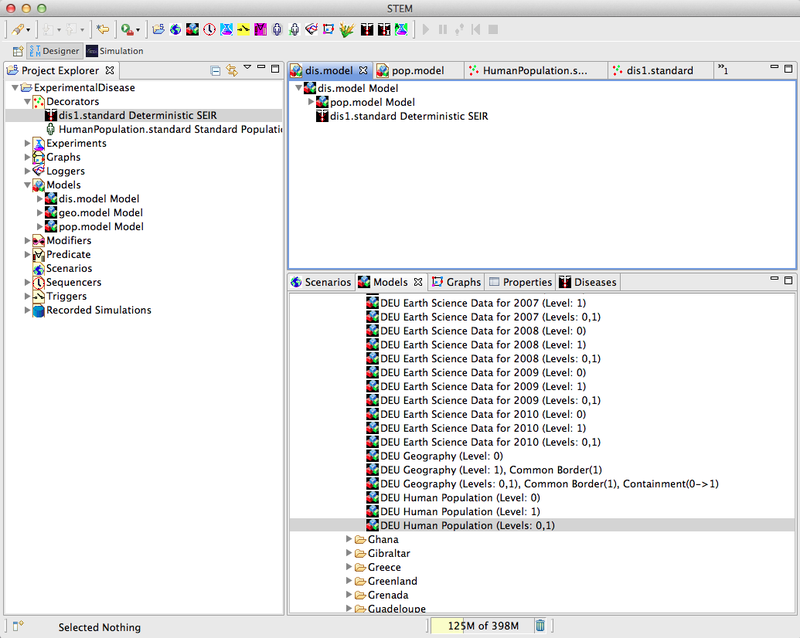 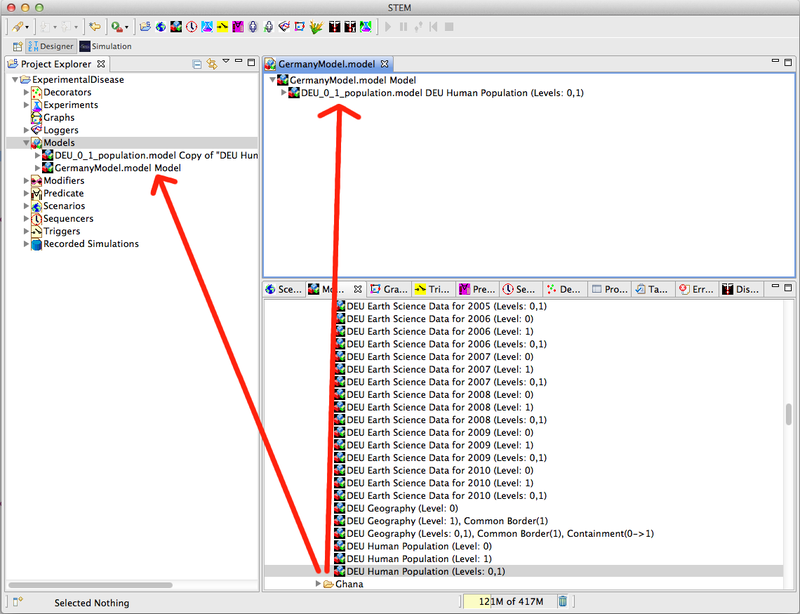 ''Figure 5: In the Resource Set the new Scenario is expanded showing that it now contains a model which contains a disease (decorator). 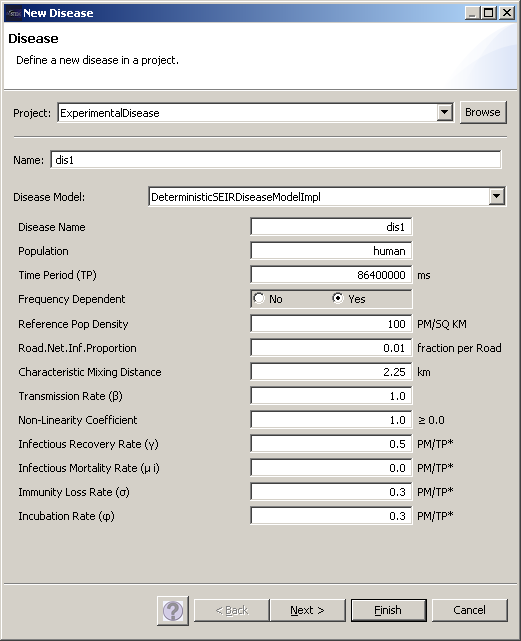 The disease contains a Dublin Core. 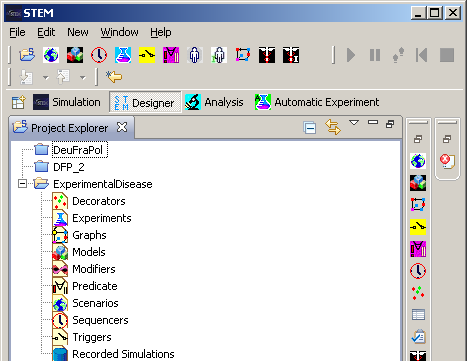 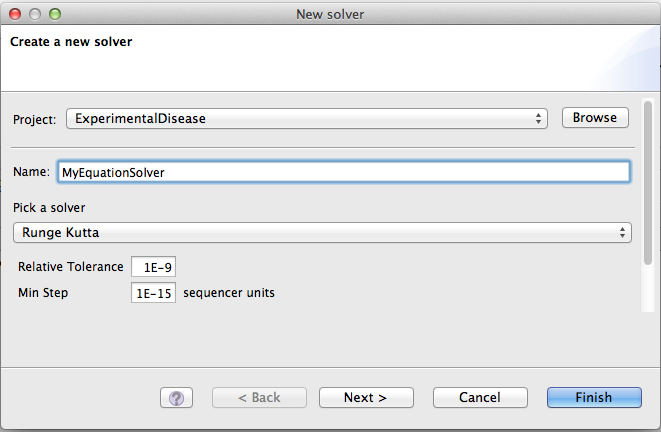 Double Clicking on the Disease in the Resource Set opens an editor at the bottom of the screen. 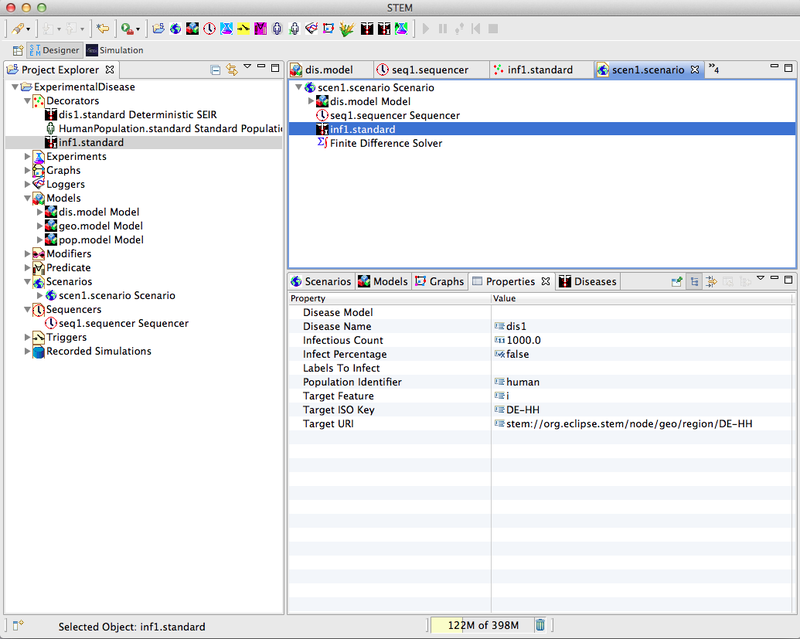 Click on the Properties Tab (shown selected) to see the Properties Editor.